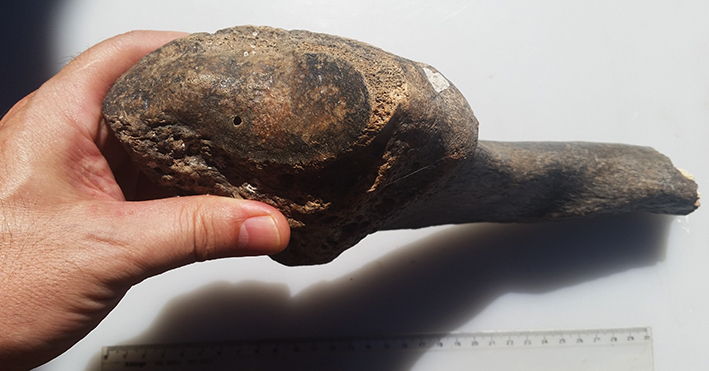 I've just joined the forum and need some help to identify this fossil bone. Thank you! No idea but it's a great chunk. It will help the experts if you could give as much information about you're find as possible especially an accurate location. Thank you for your comment John. It was found on the sands of Joaquina Beach, Island of Santa Catarina, sourthern Brazil. Unfortunately, no context other than that. I cannot place it, even though the shape is fairly distinctive. Thanks for your comments too. I have a friend here in Brazil who's also a bird watcher. He made wonderful posters of the birds from the different Brazilian biomas. I recommend them! 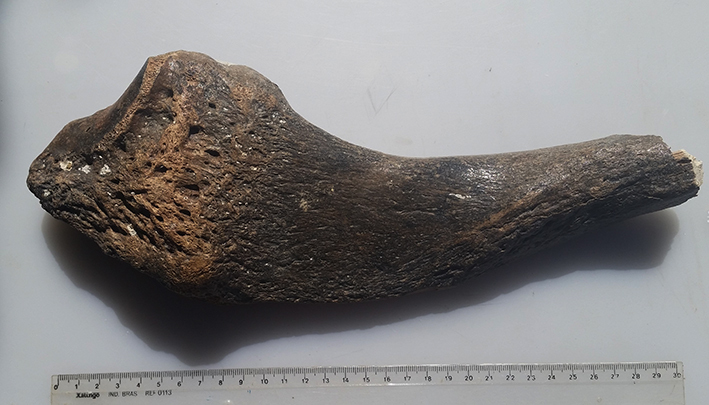 I'm not a bone guy, but that wicked twist in this piece leads me to believe it may not be a structural bone, but rather a horn?